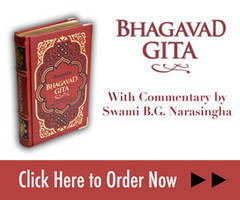 The following URL is an interview conducted by Swami B.G. Narasingha with Garuda Prabhu Ph.D., a senior disciple of Srila Prabhupada, concerning the "Book Changes Controversy". Garuda Prabhu is presently "professor of philosophy and religion" at Christopher Newport University, Virginia, and he is also "distinguished teaching and research fellow" at The Mira and Ajay Shingal Center for Dharma Studies at the Graduate Theological Union (GTU), Berkeley. Over forty-five years ago, Śrīla Prabhupāda said that he wanted his disciples to be teaching at that very university—The Graduate Theological Union. By Krishna’s arrangement, Garuda is working toward fulfilling this desire. 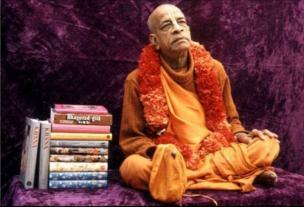 In the Hare Krishna movement, a controversy has been building for at least two decades regarding the editing of Srila Prabhupada’s books: after Srila Prabhupada’s departure from this world, the principal editors claim that his works need fairly extensive editing, both for style and philosophical clarity and consistency, while there are other senior disciples who object to anything more than the absolute minimal editing.